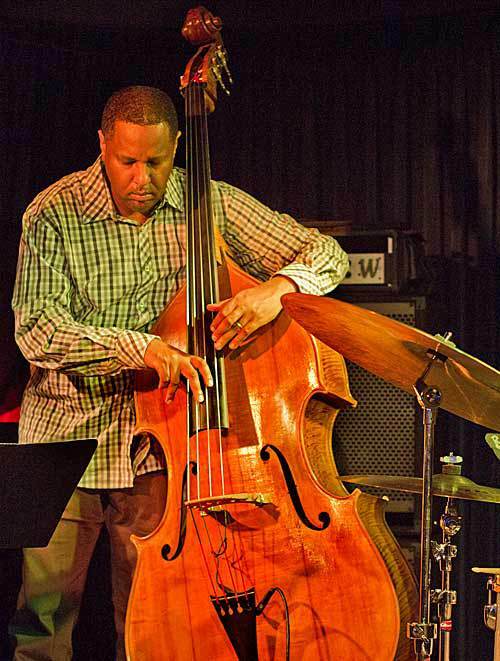 Robert Hurst has been one of the most in-demand bass players in Jazz for the past quarter century. And he has done extensive stints in the bands of Wynton Marsalis, Tony Williams, Branford Marsalis, Charles Lloyd, Chris Botti, and Diana Krall. Hurst also is an Associate Professor of Music at The University of Michigan School of Music, Theater and Dance, Department of Jazz & Contemporary Improvisation in Ann Arbor, MI. Having grown up in Detroit, Hurst has spent his whole life being surrounded by some of the most iconic figures in American music. 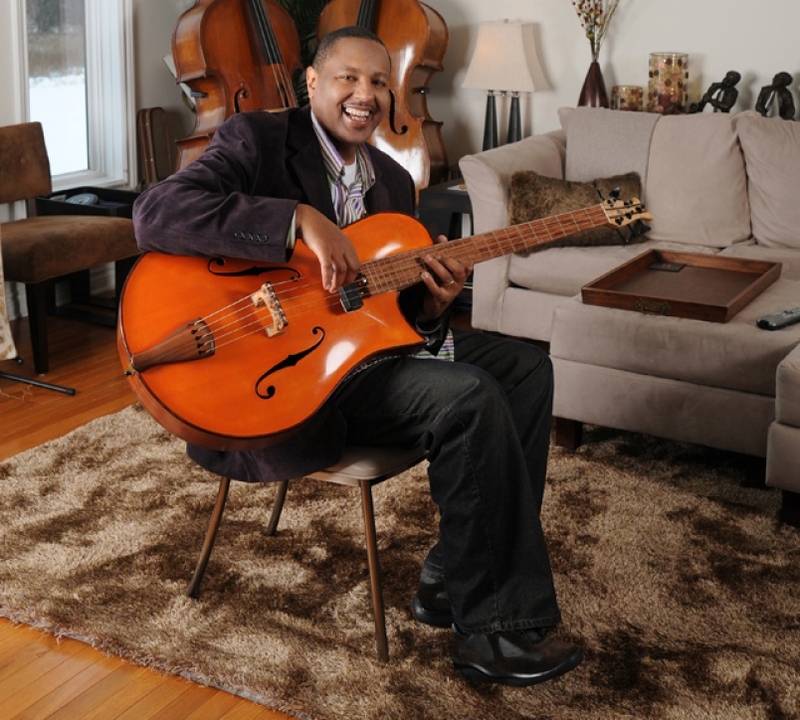 iRock Jazz writer, Jarrett Shedd, recently spoke with him about his amazing musical past, and his bright future. iRJ: Marvin Gaye lived in your father’s neighborhood at one time. Was it the same neighborhood in which you were raised? RH: Yeah, he had a house. It was the house he got when he had kind of “made it,” and [he] was still living in Detroit. It was off of Auto Drive and Detroit, and it was where I grew up until I was like nine or ten. But we would always pass his house. There were so many musicians around our neighborhood at that time. I know Aretha Franklin’s family lived down the street, and there was one of the Four Tops that lived like two blocks over from us. Yeah, there was a lot of great music happening, and kind of the whole six degrees of separation thing [happening], as far as the Motown artists and regular people [goes], I guess. iRJ: One of your life-altering relationships was meeting Marcus Belgrave in high school. Tell me how you met, and how the relationship has grown over the years. RH: I was in Rochester Michigan, at that time, and he did a clinic for us. And I asked my teacher if I could play a song with Marcus that night, and he said “Yeah, if it’s ok with Marcus.” And Marcus said it was okay. And we played that night on the concert, and he really took interest in what I was doing, and was really supportive. He asked my parents if I could come out and do some gigs that summer. And they let me do gigs even though I was fifteen. I couldn’t even drive! So, they would have to drive me to all the gigs, and wait around ‘til like two in the morning for us to finish. But it was always great! He didn’t really ever sit me down and give me music lessons. It was always [done] by example, and just by hanging out and just rehearsing…sometimes eight hours a day. But he was always an inspiration; still is. In fact, we’re working on a project right now; kind of a duo (duo/trio project) with me and Marcus. He played on my latest CD, Bob: A Palindrome. He also played on my very first CD. Since I moved back to Detroit, I guess about five years ago, we’ve been playing together a lot. And he’s still my favorite trumpet player. I’ve played with a lot of good ones. He’s still my favorite, and I love him to death. iRJ: What was it like working with some of these iconic people, for example, Tony Williams? RH: Well, I think he’s probably one of the greatest musicians whom I’ve ever played with. He was one of the first people that I’ve ever seen who could just do whatever they wanted. I mean, he didn’t appear to have limitations. If he did, it would be something that only he could hear. [Hearing] that made me just want to work hard, because he was so great musically. He had the physical gifts, but he also had the intellectual gift that was so amazing. How he put things together, and how he organized his thoughts and ideas, was a great experience. Before [playing with] Tony, I was mostly playing with guys of my generation, or just a little bit older. And he was one of the first older musicians, from two generations ahead of me, who I played with…so that was different. iRJ: How would you describe the Detroit Jazz sound, and is it distinctive? RH: I think it’s very distinctive. You know, all of the major cities tend to have a sound. I think one of the most visible, at this time, is the Houston guys…with Robert Glasper and Eric Harland, and Jason Moran and Chris Dave. All [of] these guys coming out of Houston right now; they have a way that they sound. And there’s a certain “Country-ness,” but there’s also a hip-hop influence in what the young guys are doing. You know, a few years back, when I kind of got on the international scene; it was the New Orleans guys. So, it was, Wynton and Branford, and Terence Blanchard and Donald Harrison, and all [of] those guys…Harry Connick a little bit later. Our sound is like, I wouldn’t know how to put it into words necessarily, but it’s something that’s not just in Jazz. You hear it in the Hip-hop. You hear it in the ways J Dilla produces tracks, and Black Milk, and different guys like that [who are] on the Hip-hop scene. And there’s also House music and Techno music, which were both invented here. Although, [people in] Chicago would argue with us on that one. And, Rock and Roll…[ranging] from Ted Nugent and Bob Seger, and even Punk with Iggy Pop to MC5, and all of that stuff that originated here. So, I think it’s kind of a carryover from the migration in the thirties when black folks came up from the south, looking for jobs, and the country element meets the industrial element. And it’s kind of that same sensibility in the music. And I think similar things happened also in Pittsburg and Philadelphia, you know. The northern cities that had an influx of southern, black culture infiltrated, and combined. [This] definitely [happened] in Chicago when delta blues musicians came up. And they went from [producing] an acoustic sounding music to [producing] an electric sounding music. There’s something about that mix that gives each city its own flavor, its own type of sound. iRJ: What has been your strongest musical influence due to growing up in Detroit? RH: The first music I heard was Motown stuff, and there’s a great bass player on most of those Motown tracks, James Jamerson. And I didn’t know who he was then. But I just remember, they would always have the bass pumping on those Motown records, and you would hear that [sound]. So, that’s kind of my first influence. As I learned more about James Jamerson, and the musicians who were making these records for Motown, I found that most of them were Jazz musicians. And a lot of them were first gospel musicians, and then Jazz musicians. And then they became studio musicians. So, that kind of still exists, and most of the records that I have done have been kind of straight ahead Jazz. But I’ve been working on some different electronic projects, and trying to get back to those influences. I think coming from the Marsalis camp, I kind of got stamped as this straight-ahead guy, and I do love that music immensely. But I also have these other influences, like you mentioned, from Motown. Later, when I was nine or ten, we moved to the suburbs, and it was a mostly white neighborhood. I got the chance to hear Rock music like Bob Seger and Ted Nugent, and all of these different Rock and Roll types of things. When I heard it, and music from other places, I said, “Wow!” You know, Detroit is soulful! We got the white folks and black folks; we got the best white rapper from Detroit. And, you know, I think it’s a certain soul that Detroit has that’s universal. And I think since moving back here five years ago, and just being kind of re-immersed in the scene, and being around these musicians, there are a lot of Motown musicians that are still here, and a lot of the younger guys that are “coming up.” It’s reinvigorated me and made me want to reach into those influences, and use them in my music.